Colin Kaepernick was once on top of the world. Back in 2012, he stepped in for an injured Alex Smith at quarterback. And once he got in there, he would never relinquish the job. Colin was special during that time. 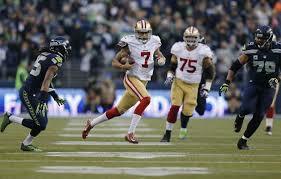 The 49ers were an offense that was dangerous in the running game and sputtered in the passing game. With Colin there at first, they began to look better in the passing game. The biggest change came when they went to the read-option offense. That threw a wrinkle that many teams in the NFL were not prepared for. And because of that, he was able to exploit teams each and every week. The team gained momentum and made it to the Super Bowl that season. They ended up being one play short of winning the game, as Kaepernick’s throw to wide receiver Michael Crabtree sailed incomplete over his head. But even with that loss, many looked at the 49ers as a team that would eventually win a title with Kaepernick under center. Many expected the athletic quarterback to improve over time. It was recognized that he still had some things to learn in the NFL and if he did, he could be special. Ron Jaworski even went as far as saying Kaepernick would be one of the greatest of all-time. The ability he had to run the football from the quarterback position along with the rocket arm he had was something many had not seen. And given time to learn, there was thought that he would help redefine the position. The 49ers believed enough in him to give out a seven-year, $126 million deal in 2014. 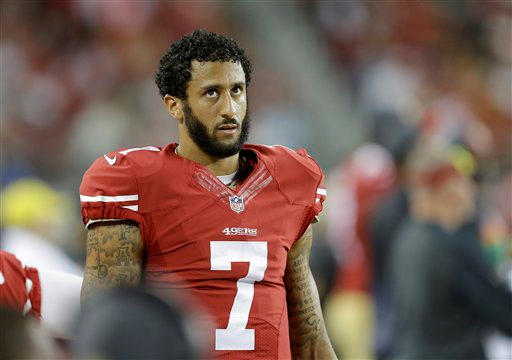 But over the last two-plus years, it seems as if the promise many saw in Kaepernick has not come to materialize. He has not been as accurate as many thought he would have. And even thought the 49ers have had success as a team up until last season, the questions still came as to when Colin would take that next step. This season, the onus was on Colin to step up and lead this team. Gone were defensive leaders Patrick Willis and Justin Smith along with many other free agents leaving town. The 49ers were a shell of what they were but they were banking on Kaepernick to lead this team this season. With the work he put in this offseason, there was an expectation that he would be a little more sound in his techniques and make some progressions in his game. But unfortunately, the work he put in was not showing on the field consistently. Eventually it got to the point where Colin looked as if he was second-guessing himself. The 49ers were struggling offensively (last in the NFL in scoring) and unfortunately most of the blame landed on the talented quarterback. And before the game versus Atlanta, the 49ers decided to bench Colin and put in backup Blaine Gabbert. The former 1st round pick of the Jacksonville Jaguars has equipped himself well and the offense has looked a little better. And as for Colin, it was recently announced that he will be having season-ending shoulder for a torn labrum in his non-throwing shoulder. Many see this as the end of the Colin Kaepernick era in San Francisco. Colin is a talented athlete and that can never be questioned. A man that big and that fast with a cannon for an arm is a dangerous weapon. But over his time, it seemed like the progression was never made. And this year, he was expected to carry the offense. Unfortunately it did not work out and it looks as if he is out the door. But this is not going to be the end of Colin in the NFL. Despite his performance in San Francisco, there have been some other factors that have contributed to it. The fact that he was one of the most sacked quarterbacks in the NFL in 2014 and this current year is something that has to be looked at. The offensive line has been giving effort, but they have not been the most reliable source for keeping Kaepernick clean. And while sometimes there have been issues because Colin may hold on to the ball too long, there have been other issues with the line blowing assignments and leaving him out to dry. Either way, Colin’s looking more and more on his way out of town. What was thought to be a new era and an upgrade at the quarterback position over Alex Smith has turned into a team that may be in the running for a new quarterback in the 2016 NFL Draft. One guy the Niners could potentially be looking at as his replacement should they draft a quarterback is Jared Goff. The talented quarterback from the University of California has drawn rave reviews. He has good accuracy and some say that he has all the tools to be a franchise quarterback. For the 49ers, it would be a chance to revisit a mistake they made in the past. In the 2005 NFL Draft, the Niners had the chance to draft a talented quarterback from the University of California. But instead of doing so, they took University of Utah quarterback Alex Smith. The quarterback they passed on: Aaron Rodgers. Smith has been solid the last few years in the NFL, but he was bad in most of his years with the 49ers. Rodgers, on the other hand, is adding chapters in his Hall Of Fame career with each passing year. A mistake the 49ers made in the past would be able to be corrected ten years later in a sense. Whether they are able to get Goff or not depends on positioning the draft, but he would be someone that would help the 49ers rebuild. As far as Colin, the rumors of what happens next with him have no begun. There have been talks of trading him already starting. The first thing that has to happen in any situation is Colin has to recover from surgery. It will not matter if the team wants to trade him if he is not healthy enough to pass a physical. All indications is he will be healthy enough to be looked at by other teams, so unless anything unexpected happens, he should be ready to go. The most important date in the offseason for the 49ers will be April 1st. The indications are that the 49ers will try to trade Kaepernick this offseason before that date to save some dead salary cap space. And with a talent like Kaepernick, there will be teams that want him. One team that could come up in discussion is the New York Jets. Currently they have veteran journeyman Ryan Fitzpatrick leading their team. Behind him, they have Geno Smith and rookie Bryce Petty. Neither of these guys has won a playoff game nor a bigtime game. Colin, despite what some may think of him, has won big games and also has played in plenty of big games. There are a few other teams that may want to retain his services as well, but the main though that has to go into getting Kaepernick how do you get him? If you trade for him, you inherit his contract. His contract dictates that he would be a $16.8 million cap hit for a team next season. That would be a high price to pay for a guy that could or could not be the answer. The other option that teams can look at is waiting up until April 1st. 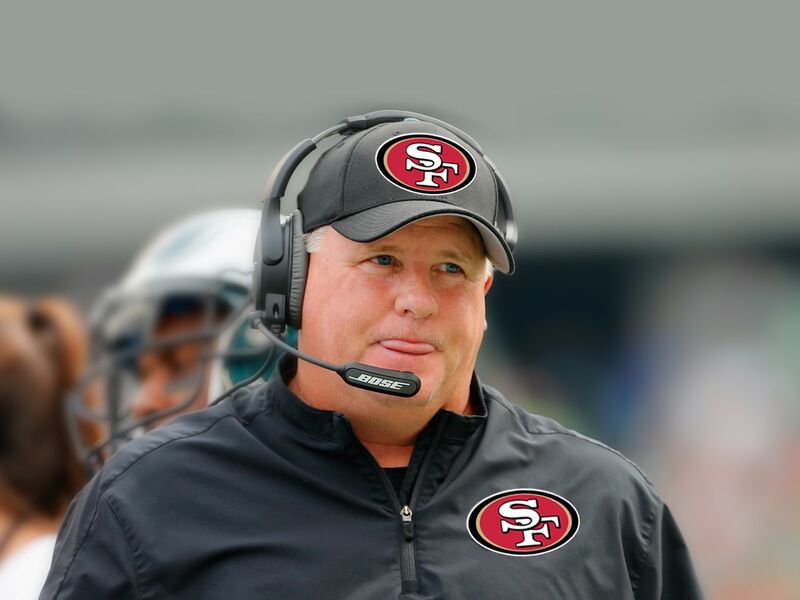 If the 49ers waive Colin, then he will be free to sign with who he wants to once he clears waivers. At that point, you get a talented player for less of a price tag. That would make him more attractive to teams right then and there and it would also open up the doors for more teams to take a look at him. There are plenty of things that can happen this offseason with Colin Kaepernick. For all we know, he could be a member of the 49ers team next year. But there is also an overwhelming thought that he will be gone and his career is over in San Francisco after going on injured reserve. The next few months will tell us a lot about where he goes or does not go from here and where the 49ers go as well. It should be interesting to watch what chess moves are made. Phillip Rivers potentially on his way out of San Diego? The Tennessee Titans had another down season in 2014. The proposed hope that a new coach brought to the team ended in a whimper and some saying that this team was “the same old Titans”. The team finished with a highly disappointing record of 2-14 and effectively secured the 2nd overall pick in the draft. And adding to the pain of last season, the Titans saw their oft-injured quarterback Jake Locker again suffer injuries that kept him out of the lineup. The former 8th overall pick in the 2011 draft could never stay healthy and that along with inconsistent play when he did make it on the field led ultimately to the Titans not picking up his option this offseason. Locker has since announced his retirement from the NFL. Tennessee used a few other options at quarterback, rookie Zack Mettenberger and veteran Charlie Whitehurst, but the Titans seem to not be so sure on what either will become. So with the 2nd pick in the draft, there is some intrigue as to what the Titans will do. Over the offseason, there have been a few things kicked around about how the Titans will use the 2nd overall pick. Names like University of Oregon quarterback Marcus Mariota and University of Southern California defensive lineman Leonard Williams have been tossed around as the answer for what the Titans may do. But over the last few weeks, there has been another scenario that has seemingly come out of nowhere. 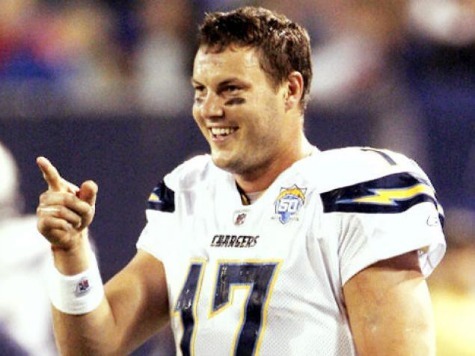 Rumors have been circulating that San Diego quarterback Phillip Rivers could be on the move to Tennessee. In the rumored situation, the Titans would trade their 2nd overall pick this season to the San Diego Chargers for the rights to Rivers. Many may wonder why the Chargers would be willing to make such a deal. But there are a couple factors that come into play. Rivers is searching for a new contract and it seems as if the organization is not really focused on making that happen. Although it is not clear how far they are apart on the contract, it is clear that both sides are not coming to any type of agreement as it stands at this point. And if the Chargers are not able to get him to sign a new deal that both can agree with, then Rivers could be playing out the string to his career in San Diego. But let’s just say the Chargers and Rivers miraculously come to an agreement, then the Chargers are still not out of the woods just yet. The stadium issue has taken on a life of its own this offseason. The Chargers and the city of San Diego have been playing this stadium game for almost two decades now. And at this point, it looks like a new stadium may not happen in San Diego at all. If that does not happen, there is another option that has come about. The city of Carson, California, which is not far from Los Angeles, is reportedly trying to use the idea of building a brand new stadium to lure a NFL franchise there. And with the issues that the Chargers organization has had getting a new stadium, that would be a perfect fit for them without having to do a huge relocation. It seems like a good solution for the team except for one thing. Phillip Rivers does not want to move to the Los Angeles area from San Diego with his family. And if the move to the Los Angeles area happens, then the Chargers may as well trade him because he does not want to be there. The Titans would offer Rivers a place he would like to play and they would also offer him potentially a big contract to be their quarterback to lead them forward. But what does a trade like this mean for both teams on the field. In the case of the Chargers, they would definitely be starting to rebuild offensively with the trading of Rivers. And if they are to complete a trade with the Titans for the rights to the 2nd overall pick, they would likely have a rookie starting quarterback in Marcus Mariota next season. With the addition of Mariota, another dimension of offense will be added to the San Diego team. Mariota’s best weapon right now and going into his rookie season will be his legs. 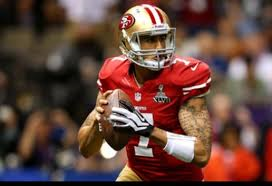 Some have compared the way he can run to the way current San Francisco 49ers quarterback Colin Kaepernick can get out the game. And you see what kind of pressure Kaepernick can put on a defense with his legs. As for Mariota, It will take some time for him to learn the reads and get comfortable with the offense, but his legs will always be something that he trusts. Unfortunately, the passing game will take a hit as a result. Tight end Antonio Gates has been used to Rivers knowing where he is and fitting in passes in tight spaces to get him the football. Mariota coming in will not have that type of relationship with Gates that Rivers did, so it may take some time for Mariota to learn how and when to get it to him. The same goes for wide receiver Keenan Allen. The running game may be the bigger focus to begin the Mariota era should he get picked by the Chargers assuming they trade Rivers to the Chargers. With this trade, it would also put a ton of pressure on the San Diego defense. They would need to be even better than they were last season to carry the team in more stretches. If they can do so, then the Chargers would be able to get away with a few things while Mariota learns and matures in the NFL. For Phillip Rivers, he would get a chance to bring his family near home. Rivers is from Alabama and a move to Tennessee would be most welcomed for him. When he is not playing football, he is either studying or with his kids, as family is very important to him. But even on the field, the move would be something that Rivers would welcome. Rivers would be reunited with his former offensive coordinator in San Diego, Ken Whisenhunt. The two had good chemistry together and it would be pretty conceivable that they would pick up where they left off in San Diego. The addition of Rivers would also bring some stability to the quarterback position for Tennessee. The last few years the team has had some inconsistent quarterback play from the likes of Ryan Fitzpatrick, Zach Mettenberger, Jake Locker and Charlie Whitehurst. The veteran Rivers would provide veteran leadership, great play and overall better skill at the position than the Titans currently have and have had in a long time. And with weapons like shifty wide receiver Kendall Wright and tight end Delanie Walker, the cupboard will not be barren for Rivers on the offensive side of the football. The only issue that Rivers may see is the offensive line. Tennessee quarterbacks did not have a ton of time last year behind a line that was consistently giving up pressure. If the Titans can get that solved this offseason along with this potential trade happening, then the Titans could be looking better going into next season. Both San Diego and the Titans have their reasons for potentially taking this deal. But ultimately, it would be one that would help the Titans more immediately than the Chargers. And if the Titans are able to get Rivers to sign a new deal, provided this proposed trade happens, then they could be as solid as they have been at quarterback since Steve McNair was here. The move would also get them one step closer to turning it around and putting a winner on the field also. For the Chargers, the results may not be seen at the beginning of the proposed trade, but the trade would be judged more by what Mariota becomes rather than his immediate impact on the team. Again, the trade has not happened and it still could possibly not happen. But if it does, the Titans and Chargers will get something they want. NFL free agency is about to get in full swing. Teams are looking for that additional piece to put them over the top. But along with the free agency period, it’s also extension time. Plenty of players are going into their last year of their contracts and are looking for that payday they believed they have earned. And of course, the quarterback position is still in the spotlight in these talks. The Boston Globe is reporting that San Francisco 49ers quarterback Colin Kaepernick is seeking $18 million a year in his newest deal. Immediately, fans began to weigh in on whether or not he was worth that amount of money. Some believe that he is worth it. While others believe his value is way less than the monies he is looking for. But if you look at the different factors that go into his newest contract, Kaepernick is well worth the money. Colin is definitely not the prototypical quarterback. He is big, fast and has a rocket for an arm. But of course, he has some things to improve on. But that is to be expected from a quarterback who just completed his first full year as a starting quarterback in the NFL. Even though he is still growing as a quarterback and improving still, Colin has had a lot of success early on. 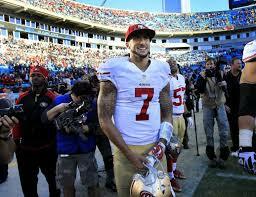 Kaepernick has led his team to the Super Bowl and to the NFC title game in successive seasons. And what has been even more impressive is the numbers he put up in his first full season (2013) despite not having his full complement of weapons the entire season. He posted 3,197 yards, 21 TDs and only 8 interceptions. Colin also added 524 yards rushing with 4 rushing TD’s. If you put his first year numbers alongside Russell Wilson and Cam Newton’s, they are not far off in all actuality. In fact, he actually had a better first year as a starter than Cam Newton in terms of interceptions (Cam had 17 interceptions in his first year as a starter). Cam and Russell are expected to get huge deals when their time comes. So if Colin has numbers comparable to them, then why shouldn’t he be able to get the same type of pay? Also, the thing that people forget is the market was not set by Kaepernick as to what quarterbacks should get. That honor belongs to quarterbacks Jay Cutler and Tony Romo. Both veteran quarterbacks were awarded new deals that set their salaries around $18 million a year at the time they were signed. But both have one thing in common: they have never won anything other than a regular season division championship. In fact, Cutler is the only one that has even been to a conference championship game out of the two. But according to the stats, both Chicago and Dallas felt their quarterbacks were worthy of getting 18 million a season. Honestly, both are pretty good regular season quarterbacks, but they do not come through in the playoffs at all (combined 2-4 in the postseason). Compare their postseason win/loss record and Colin is far and away better then both of them in the postseason (4-2 record) and has appeared in each NFC Championship game. You can make the argument that Colin is more essential to winning than these two quarterbacks. So if that is the case, shouldn’t he get paid like both of these quarterbacks then? Essentially, the payment of Cutler and Romo on their new deals has caused the market to balloon to the current price Colin is asking for. And with the salary cap expected to be $150 million per team in 2016, look for more young successful quarterbacks to go for $18 million a year or more. Colin’s success has been on par with Luck, Newton and Wilson and he should be paid accordingly.